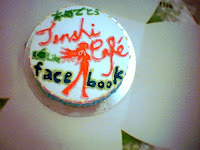 Autumn Leaves In Summer: Tenshi no Café 天使の喫茶 Facebook cake! 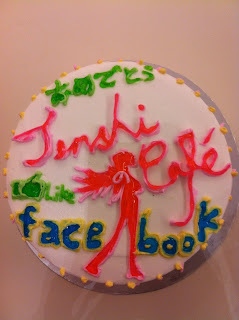 Tenshi no Café 天使の喫茶 Facebook cake! 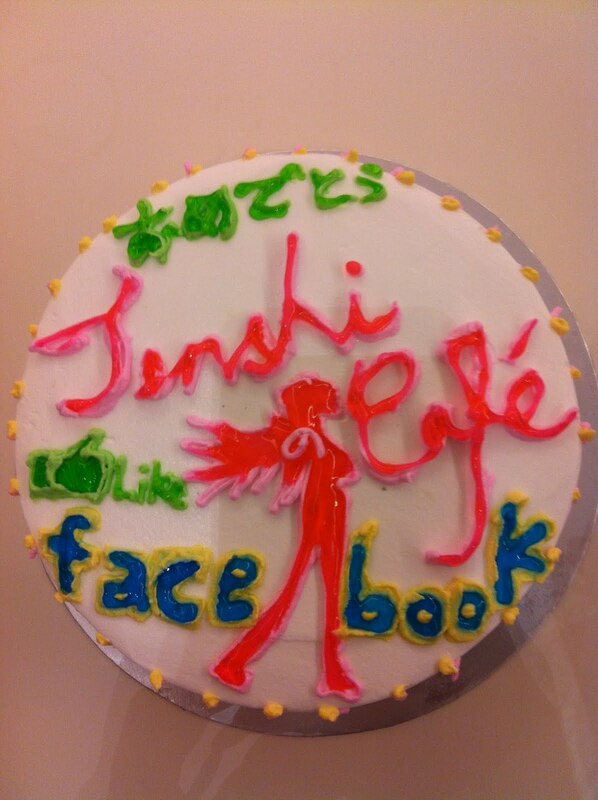 Tenshi no Café Facebook page has finally reached 12000 likes today! 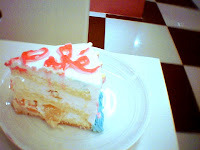 i did not plan anything special for today's occasion, but it did remind me of the time for the first 10000 likes! i brought a custom cake of which i decorated, from Bread Story. 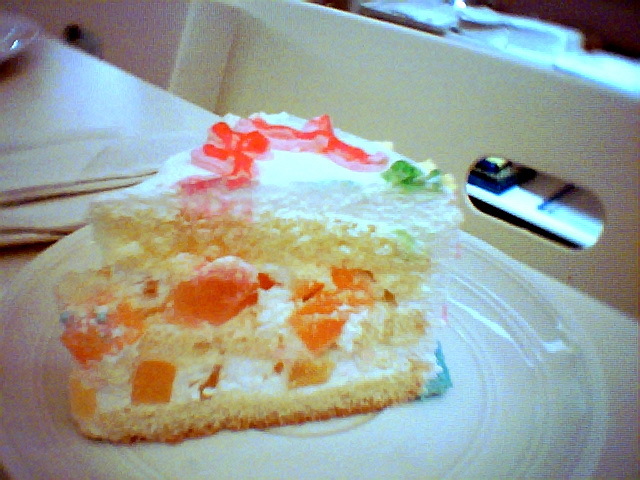 it might not look like much for a 6inch cake, but i managed to cut it into eight slices to be shared with several Tenshi no Café maids, butlers and master. 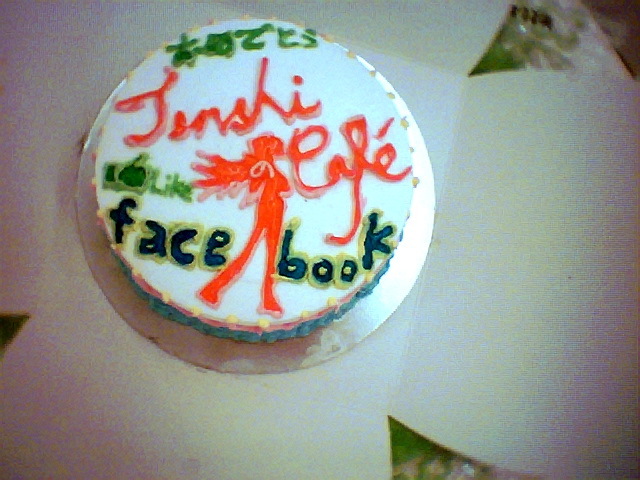 i kept anticipating for the day that Tenshi no Café receives its first ten thousandth like on Facebook (because i needed time to prepare the cake). 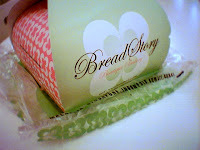 the last couple of days were antagonizing because the numbers were moving up so slowly! eventually, it passed the 9999th like and i prepared a celebratory cake as promised (made to myself). 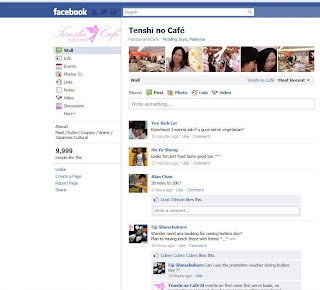 on the night of 20 April 2011, there were over 9999 likes! 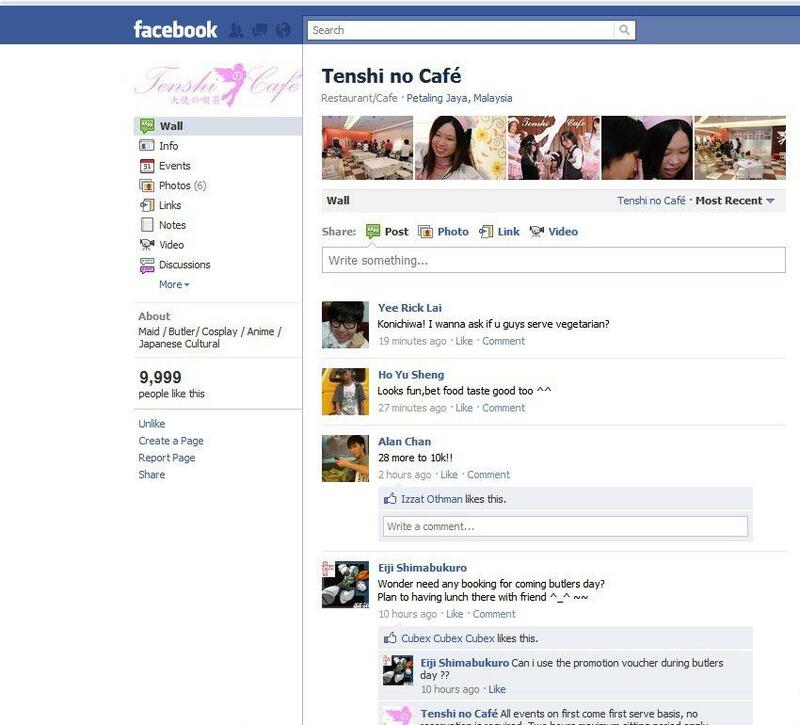 now i await for the 20000th like on Tenshi no Café Facebook page! 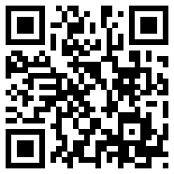 do you have any suggestions what should we do for the 20000th like?